Builders/investors dream opportunity. 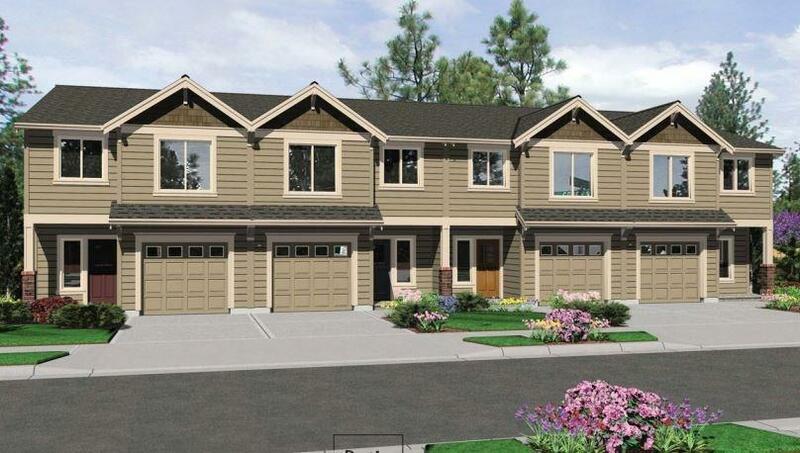 Improved, cleared, graded and build ready 16,240 SQFT lots ideal for EIGHT Single Family Residential Homes (1500-1600 SQFT , 2 Story w/ ARV 170K each) OR Two 4-plex facing each side of the property. 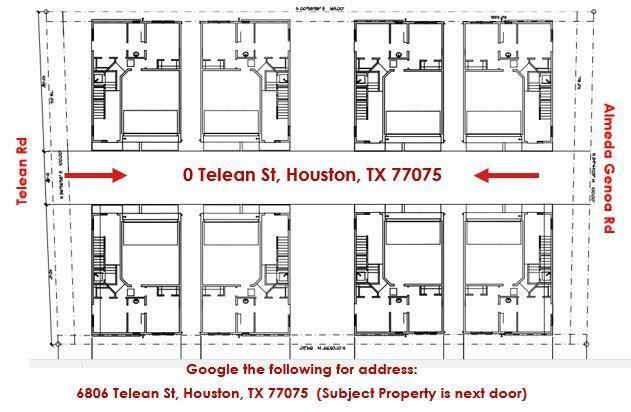 Site Layout has been completed by Architect already (see images below). 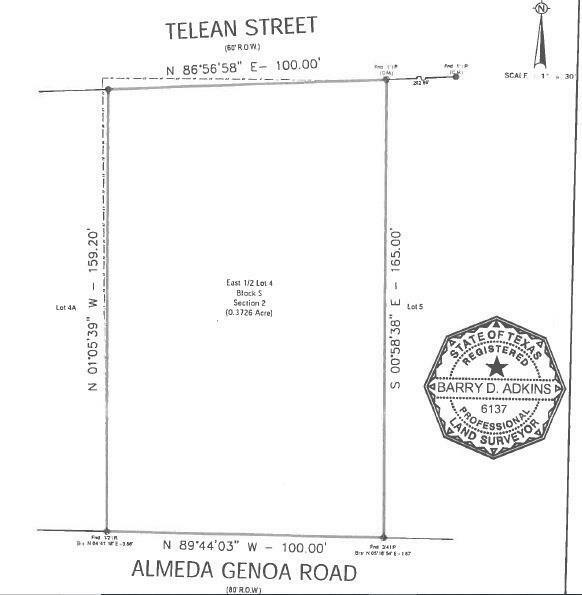 Two Entry into Property from Telean and Almeda Genoa rd which makes development very easy. Very close to Pearland and I-45/35. 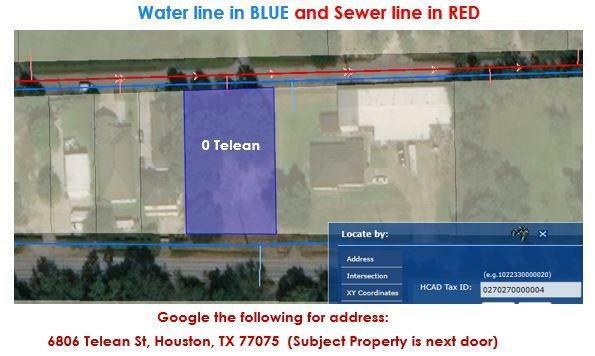 Not in Flood Zone according to FEMA map. Priced to Sell (12K/lot for each house).